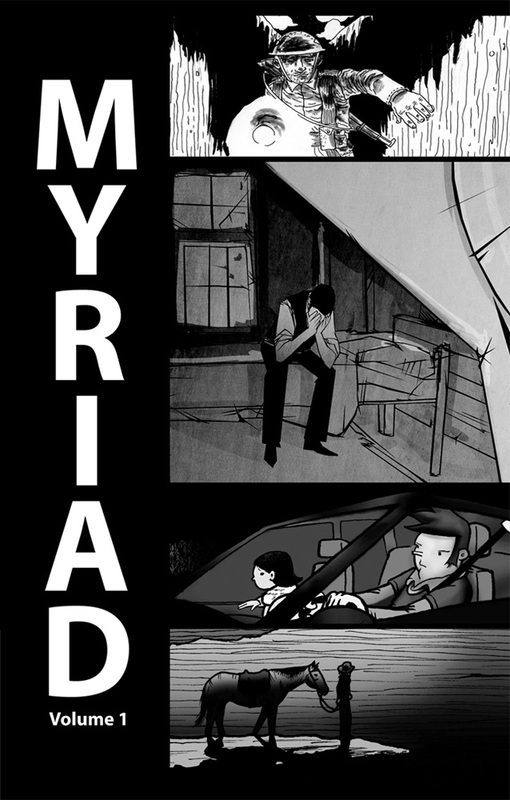 Myriad. Sixteen diverse stories in a multitude of genres, including cautionary science fiction, modern love story, children’s fable, and much more. Sixteen tales of varying lengths, illustrated by a number of different artists, yet all written by the same author. Sixteen short comics, spanning over eight years, now published between two covers for the first time.